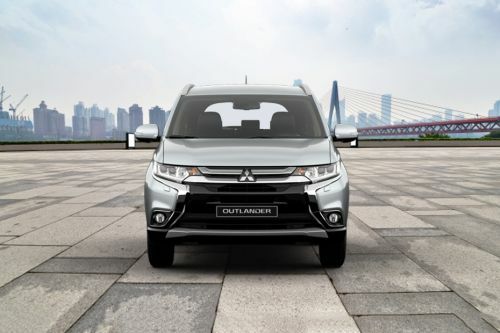 The Outlander was introduced by Mitsubishi as an option for all those SUV lovers, whose driving cycle involves more urban trips. With its more crossover roots and petrol powertrains, the Mitsubishi Outlander impresses a lot with its modern design, contemporary interiors and a long list of features. The Outlander is blessed with a set of two petrol engine options – while the smaller 2.0-litre petrol motor produces 145 PS of power and 196 Nm of torque, the bigger 2.4-litre petrol motor generates 167 PS of power and 222 Nm of torque. Both these motors are paired to a common CVT gearbox as standard. Have a question on Outlander? Outlander is available in 8 different colors - Black, Red Metallic, Silver Metallic, Quartz Brown Metallic, Cosmic Blue Metallic, White Pearl, Titanium Grey Metallic and White Solid. Watch latest video reviews of Mitsubishi Outlander to know about its interiors, exteriors, performance, mileage and more. Mitsubishi Motors have been one of the major automakers in the Middle Eastern market mostly because of the utility it offers with almost all of the vehicles and the attractive incentive that the company runs most of the time. And out of the many cars the company already sells, the Outlander has been doing extremely well. The company’s official distributor in the region, Al Habtoor Motors, has even recently (October 2018) made buying Mitsubishi cars (including Outlander) easier by adding the convenience of low EMI schemes. And with such amazing offers and goodness of the car itself, the Outlander does turn out to be a gem in the local market. The combination of power and style is something to envy about, especially if the approximate price tag revolves just around AED 77,595. The interior setting of the Mitsubishi Outlander is very pleasing to the eye, thanks to the beige colour all around and the partial black on the dashboard. All the three rows of the 7-seater are quite spacious and the legroom is ample for tall occupants too. The top-of-the-line trim variant is quite feature-rich too. The additional features include the chrome inner door handles, keyless entry with transmitters, etc. On the dashboard, there is the MMCS (Mitsubishi Multi-Communication System) infotainment system with six speakers, which includes two tweeters. The top end trim is also very comfortable, thanks to the dual-zone automatic climate control and third row reclining. The steering wheel and the gear knob are wrapped in leather covers. The multi-function steering wheel has control buttons for the audio and cruise control, besides the paddle shifter for the automatic gearbox. The sunroof comes as an optional package in the car. The Mitsubishi Outlander is a very sporty SUV and the same is carried over in its design too. The SUV has a very authoritative and dynamic design that is the company’s way of proclaiming the refinement and next to incomparable road presence. The car rides on 18-inch alloy wheels 225-section tyres for the top trim while the lower ones get 16-inch units with 215-section rubber on them. Further, the ruggedness of the car is enticed by the abundant chrome additions on the front section, including the two thick slats on the grille and the bumper surrounds. There is a skid plate lower down on the lip too. The side profile is mostly sane with a sharp crease passing across the window skirt. The roof rails aren’t very prominent. The rear profile is extremely attractive, especially with the skid plates lower down and the LED combination tail lights. There is also a small strip of chrome joining lights. The roof spoiler at the rear gets the stop light as well. All of that said, one of the main highlights has to be the anti-trap sunroof with electrical control and the rain sensing front visor wiper. Not many would deny the fact that the Mitsubishi Outlander is a high-grunting machine which loves to be taken to the high roads. Each time you hit the throttle pedal, the engine roars and the response is just immensely fun and pleasurable. Even when you hit the roads that aren’t very speed friendly and are on the rougher side, the finely-tuned suspension won’t get you off the hook. The MacPherson Strut suspension with coil springs and stabiliser bar take care for the front wheels while the Multi-link (with stabiliser bar, of course) does its duties at the rear. The stiffness and softness are so defined that on smooth roads, the stability is extreme while the off roads would get you jumping all over the cabin. The 2.4-litre can run with an acceleration of 10.8 seconds for the first 0-100 kmph while hitting a top speed of 190 kmph. On the other hand, the bigger engine version can get the initial acceleration in just nine seconds and can better the top speed by an extra 10 kmph. The Mitsubishi Outlander is extremely powerful to its core. It comes with two engine options, out of which, the bigger engine is given to the top end trim. However, both the engines are powerful to its core. The smaller engine is a 2.4-litre engine with an inline 4-cylinder setting. The engine is powerful enough to be making a maximum power of 170 PS at 6,000 rpm along with a peak torque of 222 Nm, coming at 4,100 rpm. On the other hand, the bigger engine has a capacity of 3.0-litre along with a V6 cylinder layout. The total power production from the engine reaches 230 PS, coming at 6,250 rpm along with a peak torque of 292 Nm, coming at just 3,750 rpm. As for the transmission, the small engine variants have a CVT (continuously variable transmission) while the bigger version has a 6-speed automatic gearbox, sending the power to all the wheels. However, the former gets a front-wheel-drive mechanism only. The Mitsubishi Outlander has dual front SRS airbags as standard. However, the top-of-the-line model has curtain, side and driver’s knee airbags too. Other standard safety features include a vehicle immobiliser, theft protection, detection for door and hood and blind spot detection. Also, there are some other driver’s assistance schemes like the mis-acceleration protection that is handled by sensors on the corners, active stability control, and hill-start assist. The braking duties are handled by ventilated discs up front and solid ones at the rear. Based on how powerful and feature-rich the Mitsubishi Outlander is, the car does have an extremely attractive approach. Even after being quite only in the market presently, it is aesthetically beautiful and rugged at the same time. Hence, for a car to have such an affordable and justified price tag is commendable as the Outlander has every single feature in the list to absolutely take care of all your needs. However, there is just one thing you might feel lacking, which is the average space for the third row. What are the colors options available in Mitsubishi Outlander?